Yes, yes, yes, darlings and delinquents. An awesome spooky time is just about upon us. Come see some great art, hear some music, and get friendly around a bonfire with the smart and lovely people of Ghost Hole IV. I cannot even begin to tell you how cool and different this art event will be. If you are lucky I will be packing my Tarot Cards. 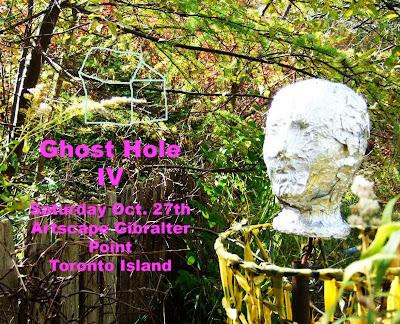 To get you primed I will now link a video for one of my favorite Toronto musicians. I cannot get enough of any Timber Timbre album, to learn more about why visit HERE! Thanks for visiting!! Hope to see you in the future.